If there’s one thing you can alway expect from one of our family gatherings it’s that there will always be sweets involved. It can be as simple as a weekend movie night with my mom and sister, but one thing’s for sure- there will be either frozen chocolate chips, Mom’s homemade caramel corn or some of Mal’s homemade ice cream. All that to say we love sweets! Well I knew I couldn’t have a birthday party without some kind of cake. 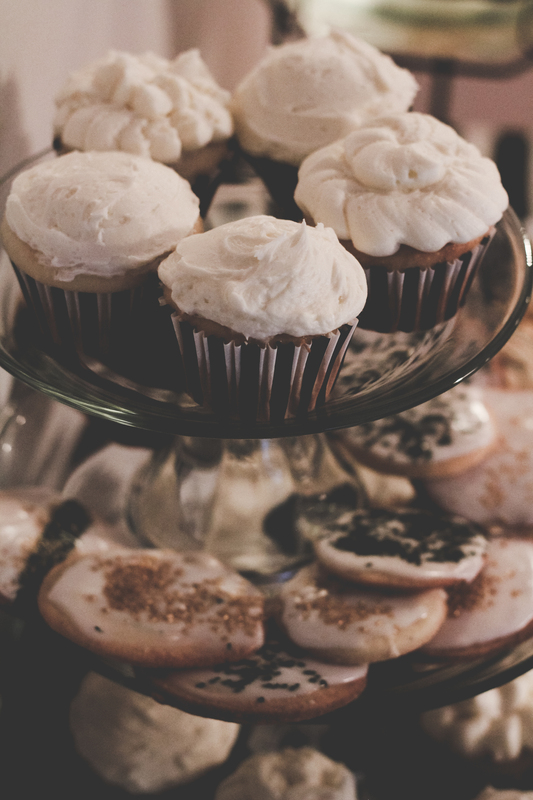 I landed on the idea of making one small cake and then a bunch of cupcakes. I also have always lived in the land of vanilla being my choice of flavor for cakes. Yes, this goes against the unwritten rules of womanhood that state all women should love chocolate cake. That is just not the case for me. Chocolate cake has it’s moments, but vanilla shines through more often than not on my palate. Plus I love the clean look of white cake and white frosting. 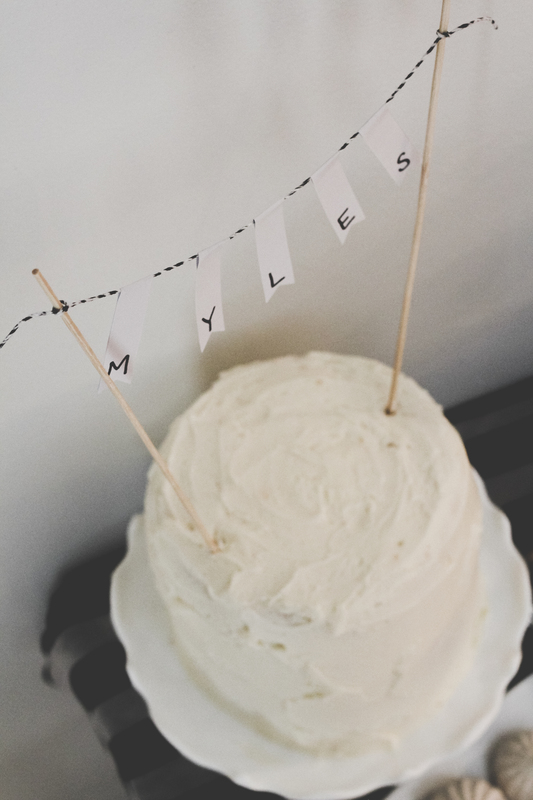 I researched a simple frosting to top Myles’ first birthday cake & cupcakes and found a gem of a recipe. There’s nothing fancy in it but sometimes those are the best recipes. I wanted to document it so I will forever have the recipe at hand. I’ll share it with all of you too so you can have a fantastic go-to frosting in your arsenal as well. This rich, buttery tasting frosting seemed to be a hit at the party so here’s the details on how to make it. 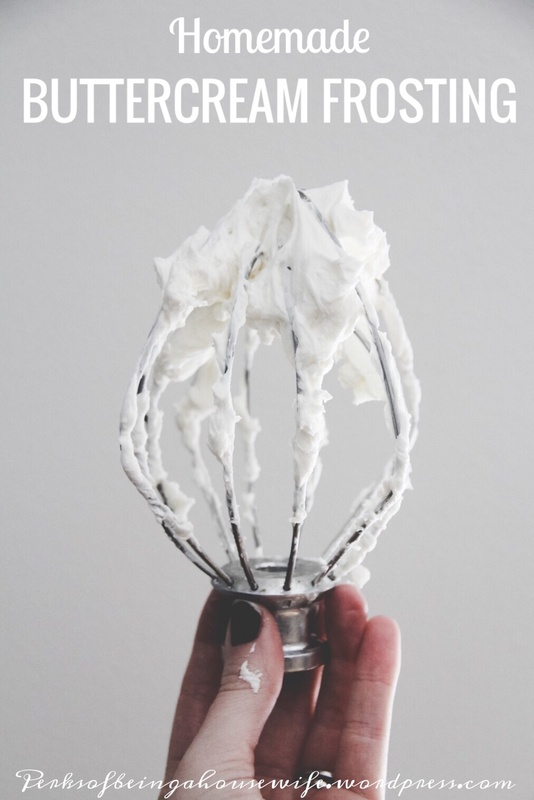 Whether you will be using a stand mixer or a hand mixer, make sure to put the whisk attachment on as your weapon of choice. Mix together your room temperature butter and the powdered sugar on low. Do this until well blended. Then hike up the speed to medium and blend for about 3 minutes. Still on medium speed, add in the whipping cream and vanilla. Mix for 1 minute. If you wish the frosting to be thinner for easier spreading keep adding in more whipping cream (little bit at a time) until your desired consistency. The result was yummy! My decorating skills need much improvement, but I couldn’t have asked for a better tasting frosting. I’ll be sure to use this one again and again. Simple, delicious and classic. Just the way I like it! Ps. 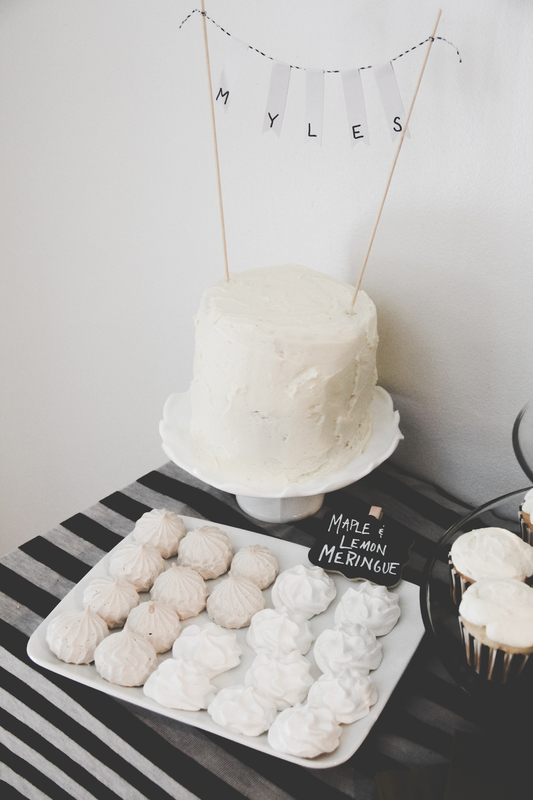 Wanna check out more of the party- be sure to head on over to Little Mister’s 1st Birthday post.